Market timing mutual funds is a practice which is completely legal, and should not be confused with late trading, a practice which is illegal and unethical. 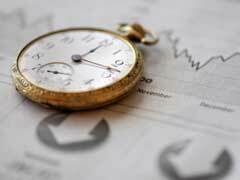 Some of the best performing mutual funds practice market timing, which involves doing all the needed research and attempting to predict the best time to buy or sell shares. These funds disclose the fact that they use some short term trading methods including market timing, and this makes the practice acceptable. Late trading is different from market timing mutual funds because this practice involves receiving the net asset value cost at the previous rate, after the deadline for this value has passed. The rate for mutual funds, including money market mutual fund rates, are generally set at 4 p.m. Eastern time, and are only set once a day. This means that market timing mutual funds so the purchase occurs after this deadline should result in a NAV price which is set the following day. Late trading occurs when an investor buys or sells a share after the deadline but receives the previous price in the transaction. This practice has been seen from large to small cap mutual funds, and across all sectors and risk levels, and resulted in a scandal in 2003. The practice of market timing mutual funds is not illegal, but many investors choose mutual funds for long term investment. Usually the expectation that small and steady gains, coupled with fewer transactions and lower fees, is what attracts investors initially. Both high and low initial investment mutual funds attempt to keep trading costs down, and when these costs increase each fund investor is affected. Market timing mutual funds can increase the number of trades, and also affect the diversity of the fund portfolio in an undesirable way. Many funds have started to charge short term fees to investors who trade frequently or on a short term basis, to avoid additional costs for other investors in the fund. Mutual Funds Ratings - What To Pay Attention To?